Operation Gladio is the name given for a secret North Atlantic Treaty Organisation – NATO `stay behind’, procedure during the Cold War in Italy. Its resolution was to formulate and implement armed resistance in case of a Warsaw Pact attack and conquest. It was a NATO backed revolutionary network that had been established after WW2 initially inspired due to fear of the USSR. It had been called the `stay behind network since in case of doubt if the Red Army would invade Europe, its member had to `stay behind’ enemy line to disrupt Soviet control. Gladio is said to be the Italian type of gladiu a kind of Roman shortsword. The stay-behind operations had been prepared in several NATO member countries as well as some neutral countries. 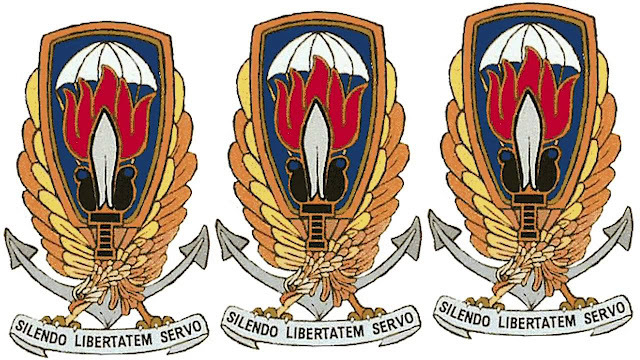 The role of the Central Intelligence Agency – CIA in Gladio as well as the extent of its activities at the time of the Cold War era together with any connection to terrorist attacks perpetrated in Italy at the time of the `Years of Lead’ – in late 1860s to early 1980s, were the topic of debate. Switzerland together with Belgium were the countries who had parliamentary inquiries in the matter. Operation Gladio had first been known in 1990 in Italy after more than 40 years of secret operations. It had been revealed by the members of the project that identical projects prevailed in most of the countries of Western Europe. These stay-behind networks had been in essence, super-secret armies in about 14 European countries that had been kept undisclosed from the official governmental structure of the host countries. They were controlled by the other forces like the CIA and MI6 which were mostly inactive though were also involved in anti-communist activities comprising of anti-democratic tension together with false flag `terrorism’. Gladio or Sword in Italian was the name technically given to their operations in Italy though has since, come by extension to stand for the phenomenon as complete. Indication of such type of arrangement that had been kept concealed from both public as well as politicians democratically elected governments in the host countries for a quarter of a century had been exposed through a series of scandalous revelations in Italy together with other NATO countries at the time of the 90s. It had been meticulously documented by Daniele Ganser, a Swiss historian in his 2004 book – NATO’s Secret Armies. This had debatably been the most shocking book ever to be unnoticed by the corporate media. Evidence in the Ganser book of terrorism focused against the people by secret armies had been funded and organised by NATO as well as answerable to deep state elements with NATO, MI6 together with CIA instead of the respective governments, is said to be too shocking that the initial reaction of several people would be to discard the same. However, in Italy, Switzerland and Belgium, the claims have been authenticated by juridical inquired and have been debated in the European Parliament. Gladio and its stay-behind networks could be one of the historically `accepted or confirmed instance of false-flag terrorism. The resolution, documentation together with the confessions and convictions tend to confirm that Gladio is said to be much more than the media or government would have you to believe a mere plot theory. Area 51 is said to be one of the secretive areas in the world and according to the author of the UFO Investigations Manual, Nigel Watson who informed MailOnline, Area 51 is said to be a magnet for those who are of the belief that the US Government knows a lot more about UFOs than they seem to reveal to the public. People like the late Boyd Bushman, a senior scientist who had worked for Lockheed Martin had declared that the Area 51 is a base where alien spacecraft and technology is stored and examined. UFO hunters at Secure Team 10 have now exposed leaked footage which portrayed an unfamiliar craft hiding in the Nevada-based military facility. The peculiar video tends to portray a flying object soaring in the sky and later flying away, releasing a strange light while occasionally moving from side to side. Tyler Glockner running the SecureTeam 10 on the YouTube clip has commented that it is one of the mysterious pieces in UFOlogy. He has described the footage as a hidden gem which is said to be filmed in the 1980s or 1990s. The mysterious object seemed to be getting higher and higher releasing a peculiar light as per the footage. However unconvinced ufologist Scott Brando running hoax busting website ufoofinterest.org had stated that the video had not been recorded at Area 51 but another top-secret USAF base in Nevada had been recorded. On May 30, 1995, Mr Brando had shown the same footage that had been recorded at the Nellis Air Force base in Las Vegas. He frequently highlights Secureteam 10 for confusing its over 750,000 subscribers. He together with other UFO hoax busters have claimed to have revealed its use of CGI footage and misrepresentation and the channel seems to be on the blacklist on a numb UFO website. Mr Glockner has denied being a deliberate hoaxer and had claimed that his research is candid. Since late 1970s, the Nevada based military testing facility is said to be a crucial point of several conspiracy theorist as well as UFOlogists who have claimed that the base houses enigmatic alien technology. The extensive military complex is placed between a dry lake bed towards the North East and a small mountain to its West. Since 2013, area 51 has been a hot spot for alien fanatics since the government had not acknowledged it existence. The same has remained enclosed from prying eyes of the public with guards equipped with weapons guarding the surrounding area. Statements of alien conspiracies near Area 51 have been largely exposed though the site has been confirmed as a historic test site for military aircraft. Some of the well-known machines have been developed there comprising of the U-2 spy plane, SR-71 Blackbird and the F-117A Nighthawk stealth fighter. Area 51 is covered by a severe 23 by 25 mile, no-fly zone for civilian aircraft. Neighbouring viewpoints Freedom Ridge and White slides Peak providing vantage points watching down on the base are said to be prohibited to the public. History is said to be of several lessons and tends to have great mysteries for us to unravel. Some may tend to be new while others could be very ancient. One such mystery is regarding the Chapatti Movement which involved the rare distribution of thousands of chapattis which is known to be a kind of unleavened flatbread that was eaten in various Indian villages during 1857. The revolution of 1857 was said to be the first war of independence of India from the British rule. Though the Indian soldiers were not well equipped as the British soldiers, they fought bravely with all their might laying their lives down fighting the oppression of the British policies. Some historians were of the belief that few months before the revolution of 1857, a mysterious distribution of chapattis had started which was difficult to explain by anyone and the event has left all perplexed over the years. The Chapatti Movement involved the rare distribution of thousands of chapattis though the crucial cause of the movement is not clear. However the British agents were of the opinion that the chapattis could have contained some secret messages though investigation carried out showed no such messages. Dr Gilbert Hadow, an army surgeon in the employment of the East India Company, in March 1857, had written the following lines describing the peculiar movement which had taken place in 1857 in a letter to his sister in Britain saying that there was a mysterious affair going on all over India. No one was aware of the meaning of the same. Moreover it was unclear where it had originated from by whom or for what reason, whether it was supposed to be linked to any religious ceremony or whether it had to do with some secret society. The Indian papers were full of assumptions to what it meant and was known as the Chapatti Movement. Dr Hadow described the 1857 movement of the strange and inexplicable distribution of thousands of chapattis which had been passed from one person to another and from village to village all over the country. During that time, tension in British occupied India, was at its peak and the discontented Indians, tired and sick of the unfair British rule were on the quiet planning a mutiny. That year, in February a strange thing occurred. Thousands of unmarked chapattis had been circulated to homes as well as police outposts all over India by runners at night where those who had accepted them would silently make more collections and pass them on. The movement had been exposed by the magistrate of the town of Mathura, Mark Thornhill, who had engaged in some investigation and discovered that chapattis had been travelling up to a distance of 300 kilometres each night everywhere from Narmada River in the south to the border of Nepal many hundred miles to the north. The mysterious distribution of the chapattis led to a belief that something strange was going on. On extensive enquiries on the strange distribution of the same gave rise to several theories though few facts. Moreover since there was no written note or any sign on the chapattis, the British were irate for being incapable of finding any valid reasons for stopping or arresting the chapatti runners who often seemed to be police officials themselves. Strangely, when the chapatti runners were questioned later on regarding the significance of distributing the same from one home to another, they had been totally ignorant of the purpose of the distribution. The chapattis had been real and even the runners had not been aware of the purpose of the distribution of the chapattis. The police officials would bake the same, which was two inches each in diameter and distribute them to their colleagues who in turn would make some more and pass them to their associates in the neighbouring villages. In some unusual documents of the revolution of 1857 it was discovered that the chapattis had travelled far and wide by March 5, 1857, from Avadh and Rohilkhand to Delhi. The British officers were filled with anxiety when they discovered that the chapattis had reached into every police station in the vicinity and around 90,000 policemen had been involved in the movement. They were particularly disturbed knowing that the chapattis had been moving much quicker than the fastest British mail. Though they had no convincing proof the confused British assumed that the chapattis had been some sort of a code signalling a call to rebel against the colonial rule. Debates were on as to whether the same had come from the east, near Kolkata or from Avadh in the north or from Indore in the centre of the country. Overall the Chapatti Movement had shaken the British Empire to the core. 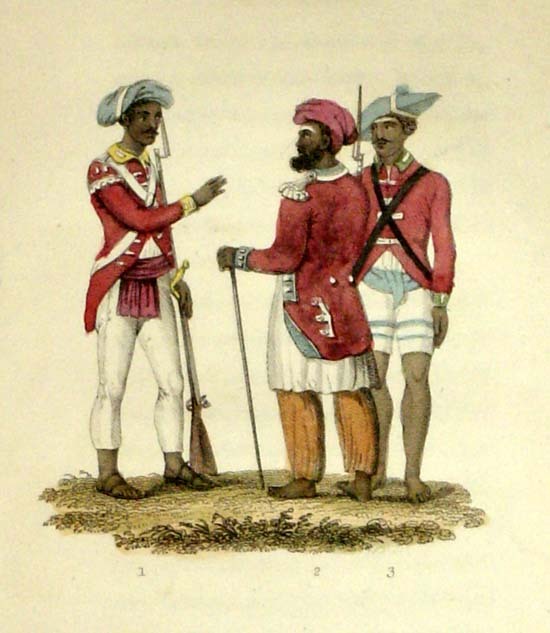 India had been controlled by the British with a small number of men about 100,000 in total, conquering a large population of 250 million and hence they were aware of how insufficient they would be in the event of a serious revolution. Being continuously tensed due to it, they considered any sort of communication by the locals which they were unable to comprehend as suspicious resulting in fear. Rumours regarding the unusual chapatti chain had resulted in an uneasy atmosphere prevailing across the country. When the rebellion broke out that year, with the first armed rebellion at Meerut on May 10, it had been alleged that due to the circulation of the chapattis, an underground movement had been planned which had started the movement. Some years later, J W Sherar, in the book Life During the Indian Mutiny, had acknowledged that if the purpose behind the plan was intended to create an atmosphere of mysterious restlessness its purpose was served. The movement had put the British in a state which turned out to be very operative weapon of psychological warfare against the colonial rule. Moreover it was said that the chapattis had been a basic in the army of Tantia Tope and Lakshmi Bai when they had moved around at the time of the revolution. The notable guerrilla fighting, Kunwar Singh had also travelled with a few soldiers and would stop at villages in order to get a refill of ghee laden chapattis, gur and water. Latest studies have shown that the circulation of chapattis could have been an attempt of delivering food to people affected with cholera. But considering the inconclusive evidence, it can only be concluded that at the moment the chapattis had just been chapattis and not any secret messages or warning of looming rebellion. An exceptional specimen of medieval printed text by discoverer William Caxton that had earlier been utilised in reinforcing the spine of a book has been considered as a `thrilling’ discovery. Dating back to late 1476 or early 1477, the two pages from a priest handbook had been discovered buried in a box at the collections of Reading University by librarian Erika Delbecque while she catalogued thousands of stuffs regarding the history of printing and graphic design. Experts had suggested that the treasure was said to be among the first book that had been printed in England by the press of Caxton and could have fetched £100,000 had it been sent to market. Ms Delbecque had mentioned that she suspected that it was `special’ as soon as she had noticed it and informed that it was unbelievably rare to find an unknown Caxton leaf and surprisingly that it had been under our noses for so long. She further stated that this well-preserved item happens to be the only one of its kind and one of just two remaining fragments from this medieval Caxton book in existence. The leaf had earlier been pasted to another book for the improper purpose of reinforcing its spine. 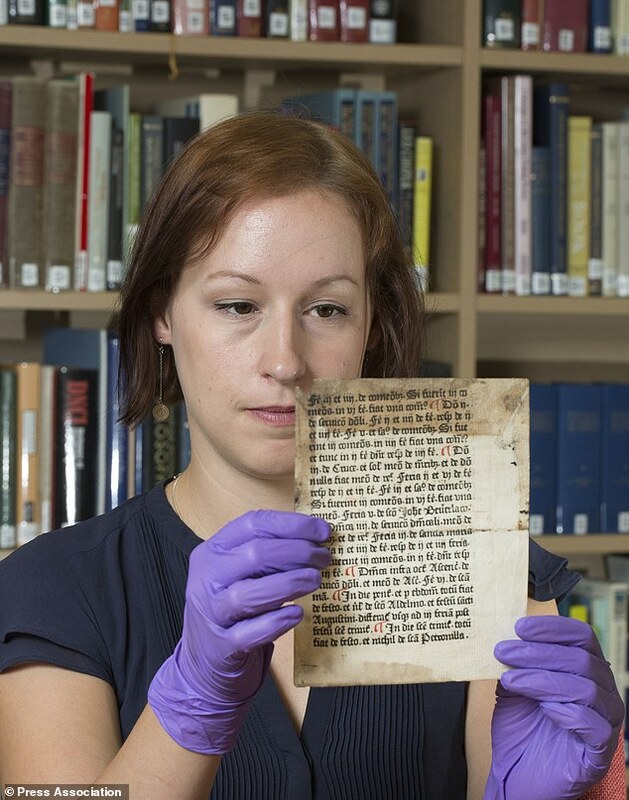 She added that they understand that it was rescued by a librarian at the University of Cambridge in 1820 who had no idea that it was an original Caxton leaf. It had been written in MedievalLatin featuring black letter typeface, layout and red paragraph which had marked it out as a specimen of very early western European printing. No more copies of the pages that could have been printed side of a single leaf of paper have been found to have lasted. Andrew Hunter, early printing specialist of Blackwells Books who had done the valuation had stated that discovery of even a fragment from among the earliest printing of Caxton in England had been thrilling to bibliophiles and of immense interest to the scholars and if this had come to the market, there would have been competition for the same. Moreover it would be a boundless prize for private collector as well as a feather in the cap for any institution. As per the British Library, Caxton was said to be the first to print a book in English as well as the first English printer. At the time of working in the Low Countries and Germany, he comprehended the marketable potential of the latest technology. In late1475 or early 1476, Caxton had put uphis very own printing press in London. The discovery is said to be from a book known as the Sarum Ordinal or Sarum Pye that had assisted priests in prioritising religious feast days for English saints. It had been part of a collection which had earlier belonged to late John Lewis, a typographer and his wife Griselda, a writer and book designer. The same had been bought by the university at an auction in 1997 for £70,000 with the aid from the Heritage Lottery Fund. As per the Reading University, the leaf then had laid among several thousands of other objects in the collections before it had been identified. The only surviving fragment of the book is said to be at the British Library in London.This discovery would be on display at Merl Museum of Reading University on London road from May 9 to May 30. Granger Taylor was a self-taught mechanical genius, a dropout of school in the eighth grade. But at the age of fourteen he had built a one-cylinder automobile that is kept on display at the Duncan Forest Museum together with a steam locomotive which he had hauled out of the woods and renovated. At the age of seventeen he had also overhauled a bulldozer which no one could repair. Besides that he had also built a model of a World War II fighter plane which had been snatched up by a collector for $20,000. Granger would always speculate on how Flying Saucer were driven and built his own from two satellite dishes one top and another bottom as a means of inspiration. This flying saucer became a home away from home with a couch, TV together with a woodstove and he would regularly sleep in his space craft. Later on he informed that he had been in touch with extra-terrestrials who were going to display to him how their technology operated. He even went on to tell everyone that he intends going on a trip on an alien space ship and on one particular night in November 1980 he had disappeared, leaving a note for his family. Till date in spite of a RCMP investigation, he was never found nor did they find any probable clues regarding his whereabouts. This has been a great Canadian mystery and surely a person of his apparent mechanical talents could not go unobserved if he had only just slipped away in the night. After an investigation period of four years of thorough checks of hospital, employment, passport and vehicle records, the Royal Canadian Mounted Police did not come across a single lead to know where he could have been. 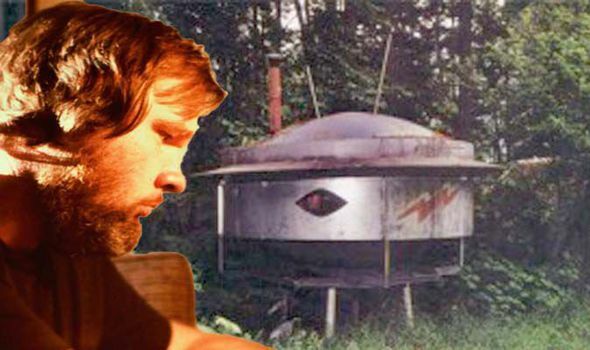 The Granger Taylor Flying Saucer is said to rest on stilts in the backyard area of his home at Duncan on Vancouver Island and is a mute memorial to young Granger Taylor who was its builder. Douglas Curran in his book – In Advance of the Landing: Folk Concepts of Outer Space (1985) had mentioned that `he had built his spaceship out of two satellite receiving dishes and outfitted it with a television, a couch and a wood-burning stove. He had become obsessed with finding out how flying saucers were powered, and spend hours sitting in the ship thinking and often falling off to sleep there’. On a night on November 1984, he had just disappeared leaving behind a yard strewn with old tractors, machine engines, vintage automobiles, a bulldozer together with a note that read- `Dear Mother and Father, I have gone away to walk aboard an alien ship. As recurring dreams assured a 42 month interstellar voyage to explore the vast universe, then return. I am leaving behind all my possession to you as I will no longer require the use of any. Please use the instructions in my will as a guide to help. Love Granger. He had informed a friend a month before his disappearance that he was in spiritual contact with someone from another galaxy and he had received an invitation to go on a trip through the Solar System. Curran had mentioned that on the night Granger disappeared, there was a storm which had struck the central area of Vancouver Island and hurricane winds were reported and electrical power had been affected. Granger had disappeared with his blue pick-up truck. 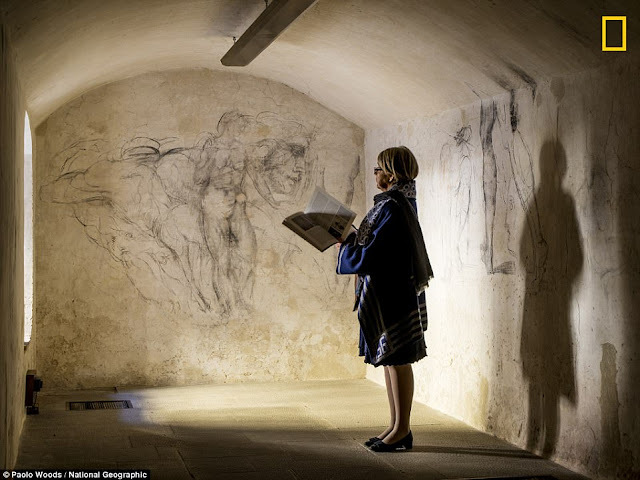 A Renaissance secret remained hidden below the Medici Chapels in Florence for hundreds of years, wherein behind a trapdoor beneath a wardrobe, a room with charcoal and chalk was discovered. According to the National Geographic Exclusive report, the room had been discovered in 1975 when Paola Dal Poggetto, the director then, of the Medici Chapels museum of Florence, had come across the Renaissance treasure. In the process of locating new options of exit for tourists, he together with his colleagues had found the trapdoor hidden near the new Sacristy which was a chamber intended to house the ornate tombs of Medici rulers. Beneath the trapdoor, some stone steps gave way to an oblong room packed with coal which appeared at first to be more than a storage space. After discovering the room that had been occupied with coal, the experts started a cautious task of removing layers of plaster from the wall to know what laid beneath and would get an insight to the history of the city. It was then revealed that dozens of drawings seemed identical to some of the famous works of Michelangelo. According to the National Geographic, from the pictures there was an image resembling a sculpture in the New Sacristy chamber of the chapel which had been designed by Michelangelo. 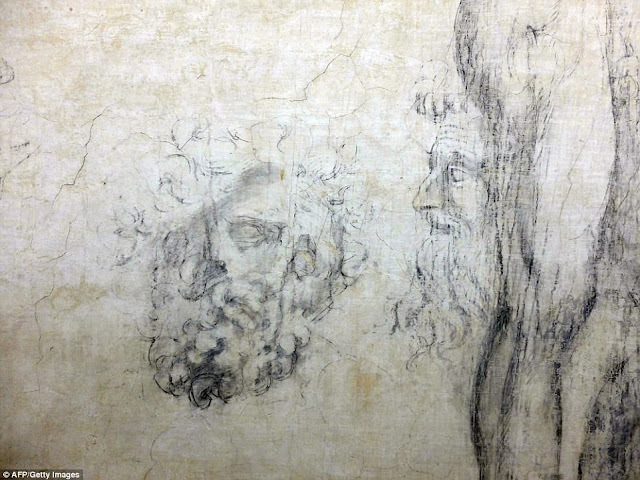 It was also observed by the experts; equivalents between a specific sketch and the artist’s chalk drawing of the Resurrection of Christ, together with sketches significant of the depiction of Michelangelo of Leda and the swan. Others portrayed humans flying across the walls or dropping from the sky while the drawings are presumed to be a version of one of the figures in the paintings of the artist at the Sistine Chapel. 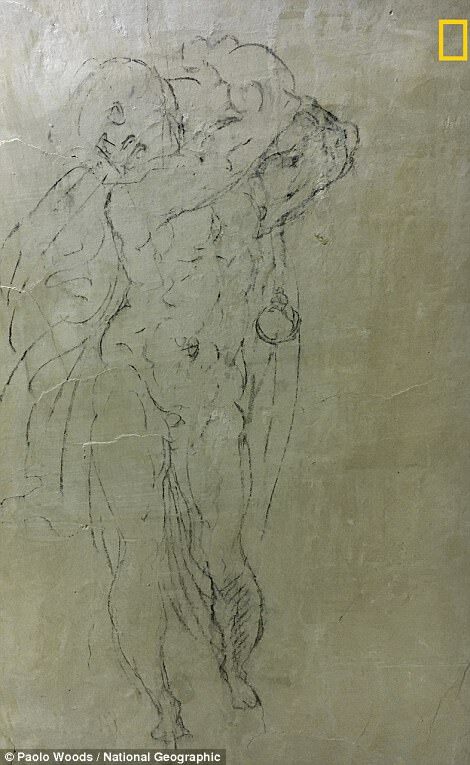 According to Dal Poggetto together with the other experts, in 1530, Michelangelo had remained hidden in the oblong room for around two months. The artist is said to have been commissioned by the Medici family. However he had betrayed them in 1527, during their exile by aligning himself against their rule with the others, which had put him in danger at a later stage according to National Geographic. It was presumed that the artwork in the room had been an assortment of work which he had completed already as well as of those which he intended to complete, though this explanation has not convinced all. Moreover the pieces too are not signed and some of them have been considered to be too `amateurish’ to be actually completed by the famed artist. As in the case of any unsigned centuries-old artwork, it tends to get difficult in confirming the origins of a drawing with confidence. The consensus is of the opinion that some of the sketches on the wall seem to be too unprofessional belonging to Michelangelo though the attribution of others tends to be a matter of opinion. 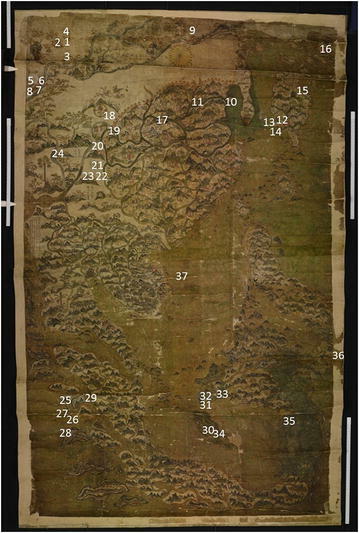 The`Selden Map of China - origins and secrets of the 17th century, the oldest surviving merchant map in the world has been revealed by scientist who have utilised state-of-the-art imaging modus operandi. The study headed by Nottingham Trent University in association with the Science Section of the Victoria and Albert Museum for the first time were capable of classifying everything from the techniques and materials utilised, to the flaws and re-drawings made by the surveyor. Writing in the Journal `Heritage Science’, the scientist had even offered a new location for the creation of the map depending on their proof. The map being 1.6 x 1m illustrates ancient maritime trade routes in Asia is presumed to have been made in the middle of 1607 – 1619 which is painted with watercolours and ink on Chinese paper. It is said to be an exceptional illustration of Chinese merchant cartography portraying a network of shipping routes with compass directions beginning from the port of Quanzhou, Fujian province getting as far as Japan and India. Not much is known regarding the origin of the Chinese-style map that had reached the Bodleian Library in 1659, at the University of Oxford which had been donated by John Selden, a prominent London lawyer which is said to be there till it was rediscovered in 2008. Selden in his willhave stated that it was a `map of Chinamade there fairly’ and it had been taken by an English commander. The map had been scrutinized in-situ and non-invasively with the use of remote `multispectral’ imaging technique established at Nottingham Trent University. The technique provided the scientist to view locations of the map utilising various wavelengths of light exposing the composition as well as make-up of materials that were used together with concealed details that were hidden to the naked eye. A variety of matchingsystematicschemes had been utilised in identifying the materials. The researchers discovered the binding medium utilised for the map had been gum Arabic which was made from the sap of the acacia tree used by European, south and west Asians. It was not the animal glue which was always used during that time in Chinese paintings. On investigation of the pigment utilised, it was found that a combination of indigo with orpiment, which is a yellow mineral instead of gamboge, a yellow dye used in making green was also very unusualfor painting during this period in China. The discovery of a basic copper chloride in the green regions indicated the impact from south and west Asia where the manuscripts had been utilised very often. Green pigment had not been utilised in paper based paintings in China. The researchers have informed that the pigments as well as binders utilised had been more consistent with those discovered in manuscripts from a Persian or Indo-Persian tradition as well as the Islamic sphere then the European or Chinese. With comprehensive investigation, illustrations were found where the cartographers had made alterations, some of which were stylistic while other were unintentional, some made as the cartographer’s information of a positive area settled. They were capable of identifying that the trade routes had been laid down before the land had been drawn in. They were of the belief that the cartographer had not planned the complete map in the beginning which was the reason that they had to redraw some of the routes several times. They also ran out of space towards the southern as well as the western points of the map, compelling the trade routes to clear off the compass directions. Two trade routes had been drawn without their corresponding compass direction signifying that the map was incomplete. The researchers proposed another origin for the map with the evidence – Aceh towards the northwest end of Sumatra where it opened out to the Indian Ocean and is the most westerly port in south East Asia. It has been marked on the map and tends to have the longest history of the presence of Islam in the areas of south East Asia. Moreover it also has a long history of Chinese contact. Beside this it is also one of the six ports on the map noticeable with a red circle probably signifying the main trading network of the owner of the map and is also the only port marked having a magnetic declination in the early 17th century nearest indicated by the tilt of the compass rose of the map. English ship which would have gone back to Europe from south East Asia would have to pass by Aceh either from the east or west coast of Sumatra, thus providing them with the opportunity of obtaining the map. According to professor Haida Liang, Head of the Imaging & Sensing for Archaeology, Art History & Conservation research group at Nottingham Trent University, this study tends to explain the importance of not judging a book by its cover. 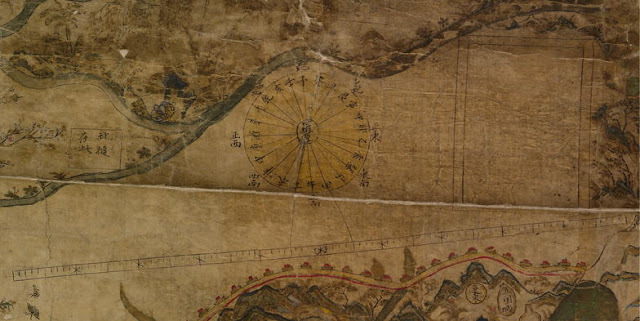 She further added that `a Chinese map had turned out to be the material evidence of a fusion of cultures. It is stylistically a Chinese painting which tends to follow some Chinese as well as non-Chinese cartographic elements though the painting materials together with their usage are more akin to those of Persian of Indo-Persian manuscripts. Due to its geographic location, Aceh had been frequented by Indian, Arab, Chinese as well as European traders. They were of the belief that the map could have been made there by a Fujianese probably a Muslim in close connection with the Islamic world. This had been the globalisation in the early years of the 17th century and on focusing on the material confirmation it was discovered that scientific analysis and art history was used. They thus arrived at new conclusion on where the map had been made following the earlier studies based on historical study. This work portrayed the immense importance of interdisciplinary research and the new visions it could be bringing along.The map has attained an iconic status and has become the focus of international interest and the understanding of the map through its conservation tends to continue in contributing to the research of eminent scholars all over the world. At the obituary temple of Amenhotep III, an excavation mission excavated a beautifully carved statue of a woman which could be the grandmother of King Tutankhamum. The enormous statue was located towards the west bank orf Luxor which was the site of Thebes, the ancient city. The archaeologist had stumbled on the alabaster state of Queen Tiye, accidentally while lifting some section of the colossus of King Amenhotep II which is said to be the first of its kind. Tiye is said to be the wife of King Amenhotep III and the grandmother of the young pharaoh Tutankhamun. The extraordinary statue was discovered beside the right leg of the colossus of Amenhotep III at the time of exaction of Kom Al-Hittan which the archaeologist doubted that it could be a representation of Tiye. This unusual figure is said to be made from alabaster while all the other depictions of the queen which have been discovered till date have been carved from quartzite. 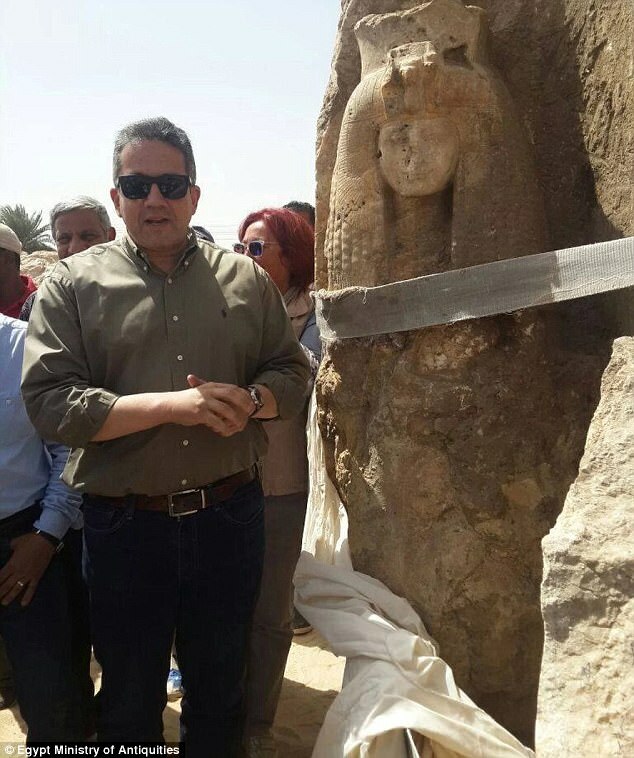 According to Dr Khaled El-Enany, Minister of Antiquities, it seems to be beautiful, distinguished as well as unique. 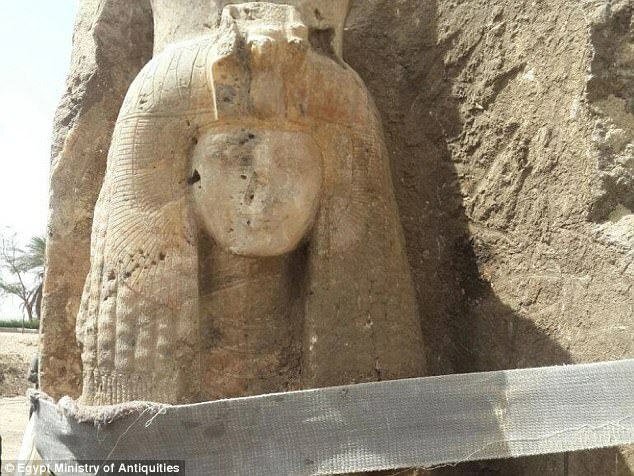 Dr Hourig Sourouzian leading the excavations has commented that the statue is said to be in very good shape taking into account its age and has also maintained all its ancient colours. As per the Ministry of Antiquities of Egypt, the researchers have been working on restoring the same. The Ministry had revealed that the German archaeological mission had exposed dozens of statues, earlier in the month portraying a lion-headed warrior goddess at the temple of Amenhotep III. It is presumed that they had been arranged thousands of years back in order to guard the ruler from evil. The intricate arrangements of Tutankhamum family have been one of the greatest mysteries regarding the young king. The identity of his mother had been very elusive while that of his father was known to have been Pharaoh Akhenaten. 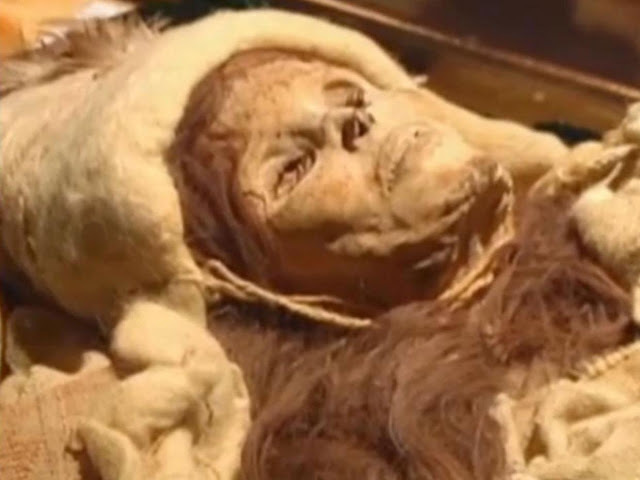 The DNA testing in 2010 had confirmed mummy that had been located in the tomb of Amenhotep II which was of Queen Tiya, the chief wife of Amenhotep III, the mother of Pharaoh Akhenanten and Tutankhamun;s grandmother. A third mummy presumed to be one of the wives of Pharaoh Akhenaten was discovered to be a probable candidate as the mother of Tutankhamun though the DNA evidence portrayed that it was the sister of Akhenaten. The analysis of 2013 showed that Nefertiti, chief wife of Akhenaten was the mother of Tutankhamun. But the work of Marc Gabolde, a French archaeologist had recommended Nefertiti was also the cousin of Akhenaten. This incestuous ancestry could also be helpful in explaining some of the irregularities which the scientists found distressed Tutankhamun. Besides this he had suffered a deformed foot, a slightly cleft palate together with a mild curvature of the spine. His claims, however has been disputed by the other Egyptologists inclusive of Zahi Hawas the head of Supreme Council of Antiquities of Egypt. His research team recommended that the mother of Tut was like Akhenaten, the daughter of Amenhotep II and Queen Tiye. Moreover Hawass added that there has been `no evidence’ in archaeology or philology indicating that Nefertiti was the daughter of Amenhotep III. On the morning of September 15 1916, the first tank had rolled across a battled when the British forces had attacked the positions of the German 28th Reserve Infantry Regiment at Flers-Courcelette together with 32 tanks to destroy the stalemate on the Somme. In order to honour the 100th anniversary of the memorable event, Claire Apthorp recalls over the evolution of tanks in the U.K.The tanks which had traversed to no man’s land in the German territory on September 15, 1916 morning had developed from an experimental modeleestablished the previous year by Fosters of Lincoln called `Little Willie’. This vehicle consisted of components created and built by various industrialists which drew on advanced technologies under the earlier projects.It had been constructed on unsuspended track frame, fitted with non-rotatable dummy turret having a machine gun mount which was 8 m long and needed two men to drive it. One was for steering, clutch, gear box together with throttle operation while the other was for the brakes and four to control the armament. It has been protected with boiler plate which could travel no quicker than two miles per hour. An upgraded model to be known as Big Willie and thereafter, Mother used a rhomboid track frame which enabled the tracks to travel around the vehicle. The turret had been substituted with armament placed inside sponsons and neither models saw combat. However they were invaluable in the progress of the technology which would reach the battlefield the subsequent year.Mother had shaped the design for the first tank for battle with the British armed forces which was called the British Mark I and this vehicle was in service in August 1916 in two alternates namely `male’ armed with two six pounder guns and three 8mm Hotchkiss machine guns. It weighted 28 tons while `female’ had four 0.303 Vickers machine guns with a single Hotchkiss weighing 27 tons. 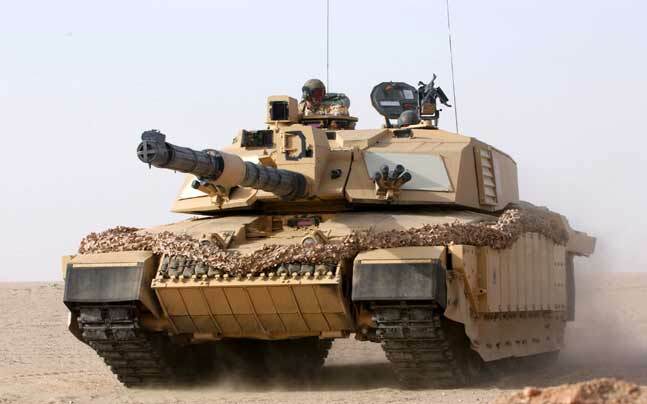 Sufficient tanks had been ordered by Fosters and Metropolitan to raise six tank companies having 25 vehicles each. With the unavailability of six pounder guns, half had been equipped with only machine guns and each vehicle had a crew of eight. About a third of the 32 British tanks which had been set up on 15 September at the Somme thrived in breaking through to German line while 17 of the 49 vehicles shipped to France seemed unfit to enter the battle. From those that did, some broke down while others were disabled due to direct hits of artillery as well as mortar shells. . However, the tanks which did not clear no man’s land set claim to a revolution in present warfare. In spite of their inadequacies they were capable of crossing trenches of 9 ft. and pass through the barbed wire. They portrayed the capability for extreme mobility which secured them an important role in the land force tool kit for the subsequent century. By the time the Mark IV tank had entered production in May 1917, substantial developments had taken place in armament, armour, logistics as well as recovery systems for the vehicle. The British tanks had been used the most during WWI with 420 males together with 595 females and 202 supply variants built. An additional modified variant with innovative engine together with transmission system came into production from December 2016 with 200 each of male and female built, the first `hermaphrodite’ variants having a male and a female sponson developing. 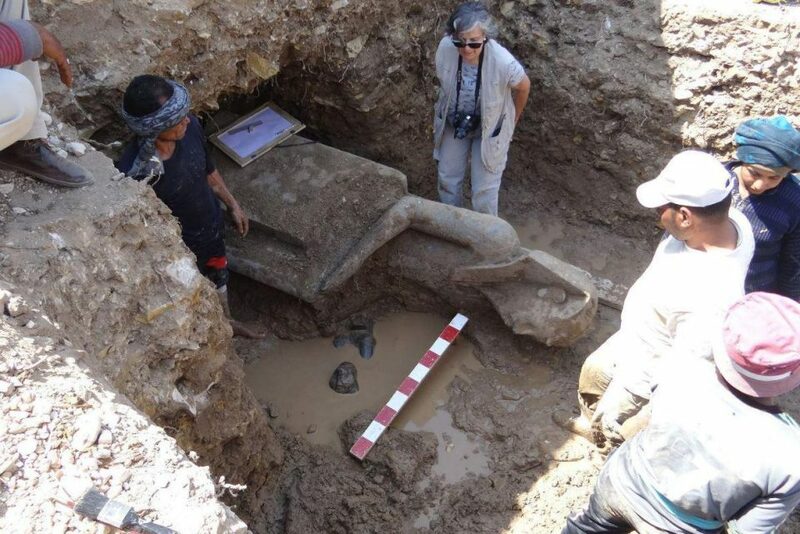 Around 66 statues have been discovered of an Egyptian war goddess that was believed to have warded off evil from the temple of Amenhotep III. The reign of Amenhotep III is said to have been from 1386 to 1349 BC and is considered as the peak of the prosperity, power and splendour of Egypt. It was surprising for the German scientist to locate the statues of Sekhmet goddess together with one of King Amenhotep III from a stunning black granite statue seated at a throne, at the time of restoration project in Luxor the location of the ancient city of Thebes. It had been located in the great court of the temple situated towards the west bank of the city of Luxor. These statues had been discovered while they were hunting for a temple wall which separated the two sites. 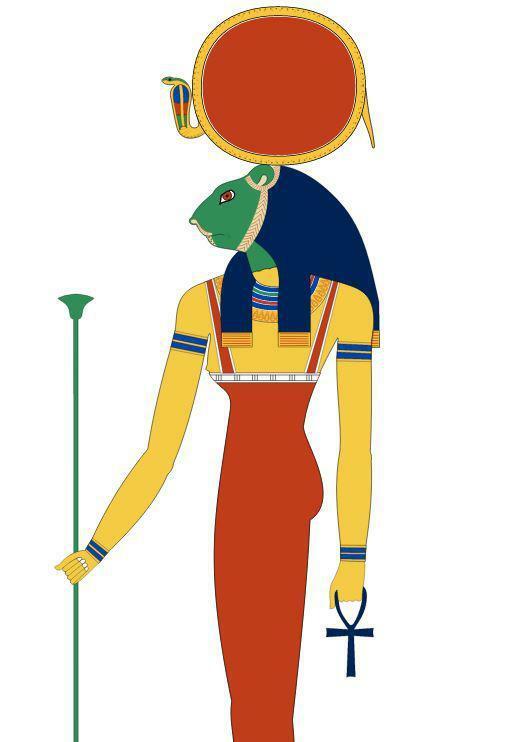 Sekhmet known as `the powerful one ‘ is said to be the daughter of Egyptian sun god Ra and considered to ward off evil as well as ill health. She had great influence on the Egyptians so much so that when Amenemhat I, the first pharaoh of the twelfth dynasty had moved the capital of Egypt to Itjtawy, her spiritual centre also followed. Some of her statues portray her in a standing position, holding the symbol of life – a sceptre which is prepared of papyrus. As per the Ministry of Antiquities, the Egyptian German archaeological mission who had been functioning in Luxor, on the temple of King Amenhotep III, directed by German Egyptologist Hourig Sourouzian, had excavated 66 statues together with fragments of statues for Sekhmet.Hourig Sourouzian director of the Colossi of Memnon as well as Amenhotep III Temple Conservation Project had commented saying that it was a masterpiece of ancient Egyptian sculpture, which was well carved and precisely polished. The statue is said to portray the king as a young man and is presumed to have been custom-built at the time of his reign. As per historians, Pharaoh Amenhotep III was appointed a king at the tender age of 12 when he had inherited the empire which spanned from Euphrates to Sudan. As part of government restoration project that had started in 1998, his temple is being rebuilt and preserved. Recently numerous unbelievable findings have come to light from his reign comprising of chilling finds in a 3,600 year old tomb.The undertaker's temple of Amenhotep III had been built between 1390 and 1353 BC in order to pay homage to the New Kingdom Pharaoh after his death. It had been a huge construction of architectural prowess which measured 100 metres wide by 600 metres in length and could have had several statues similar to the ones discovered signifying the king though also of sphinxes and gods. The temple complex however had been built too close to the Nile where frequent flooding had caused plenty of damage. In 27 BC an earthquake and pillaging of stone together with sculptures for reuse in other structures had concluded the destruction. Towards the end of the 20th century, one thing only seemed to remain intact from the original structure which was the Colossi of Memnon, the two large statues that weighed about 720 tons, seated on thrones. The black granite statue which had been discovered by the team is said to be identical like another one found earlier in 2009. It is now on display at the Luxor Museum of Ancient Egyptian Art. We find several stories of various unexplained events in maritime history. Once such event is the Sarah Joe mystery which had started on 11th February 1979 when a group of five friends had boarded a Boston Whaler called Sarah Joe. The vessel is said to be 17 feet in length having an 85 horsepower engine and was unequipped for any main sea voyages. When the vessel had set off from the town of Hana on the Hawaiian island of Maui, its sailing conditions did not appear to be good. There was hardly any wind and the surface had been as smooth as glass. Towards noon, which was barely two hours of departure, the local weather seemed to get worse and none of the five members had checked on the local conditions of sailing or the weather reports. Instead they opted in keeping watch on the horizons. This seems to be the usual practice with amateur sailors who only tend to be out to sea for some few hours. Had they checked on the weather conditions, they would have been aware of a major low pressure system which had been approaching the islands. Had the storm which had hit the town was an indication, then the conditions at sea would have been dreadful and most inappropriate for even the experts at sea. Hurricane force winds together with torrential rain tossed the vessel around like a rag doll Numerous bigger fishing vessels seemed to make it back to port wherein reports recommended that the wells peaked at a height of around 40 feet, Though the hopes were bleak, none of the locals or relatives of the missing boat sat tight without making some attempt in the rescue operation. They sent a search along the coastline though the visibility seems to be poor but the weather conditions seemed to be very rough to search further till the storm had subsided. This mystery drove a massive search wherein the day after the disappearance of the vessel, the Coast Guard suggested the mission and over a period of time it developed into a huge fleet of ships, boats together with aircraft. The search covered 70,000 square miles of ocean for five days though they were unable to trace the whereabouts of the five crew members or the boat. The main issue was that none knew in which direction the group had ventured or where they eventually ended up. Moreover the strong currents of the Alenuihaha Channel seemed to hinder their search. They also resorted in bringing in homing pigeons that had been specially trained in locating people that had been stranded out at sea. After around a week, the storm experts were of the opinion that the Sarah Joe had wrecked and sank with all on board. However the family members and friends of the missing men were not ready to abandon their hopes and they combined their resources and cash in order to maintain a search for an additional three weeks. They focussed on some of the most remote islands with a hope of getting some information of the missing vessel though they did not get any trace of the boat or the missing men. Eventually the search had been called off and the Sarah Joe mystery seemed to be a forgotten event. However years later some of the search party members had been on a routine wildlife mission in the uninhabited islands of the Western Pacific for the National Marine Fisheries Services. The Marshall Islands and the remote Taongi islands are about 2200 miles southwest of Hawaii. Biologist John Naughton got himself involved himself in this mystery on 10, September 1988 for the second time. 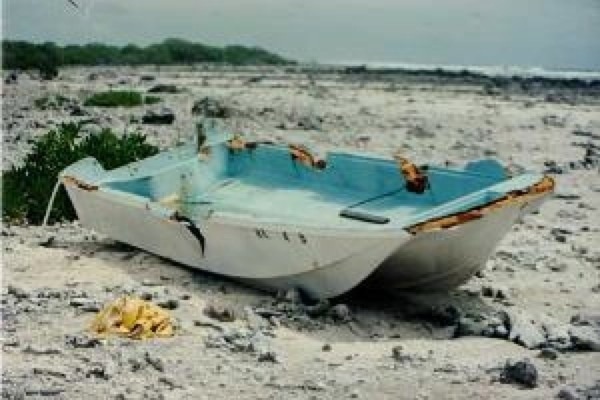 He came across an abandoned fibreglass boat on the coastline while working at Taongi Island and he could only define a portion of the registration of the boat though it was sufficient to learn that it had come from somewhere in the Hawaiian Islands. On investigating further, it had been established that Naughton had solved the mystery of what had taken place with Sarah Joe. Many queries were raised since there was nothing in and around the vessel and they searched for signs of life, notes or sort of equipment which could provide some clues to the mysterious vessel. Unfortunately there were none and Naughton together with his team took some time to decide on the next thing to be done and decided to search the surrounding area. The team then made another discovery about a hundred yards from the boat wherein a make-shift cross designed from driftwood was seen sticking out of the top of a shallow grave together with a human jaw bone bulging from the direction post of coral and shingle stones. On examining the grave closely, they envisaged blank pieces of paper on top of the skeleton which were loose though arranged like an open manuscript or book. Between the papers was something which Naughton later described as tinfoil. The pack of 3 inch square papers was about ¾ inch thick and did not have any function according to the biology team. They jointly decided that any more excavation of the grave would be disrespectful and refrained from further attempts of digging. The jawbone sent to forensic lab for testing revealed that they were indeed of Scott Moorman while the other smaller bones discovered beyond the grave also seemed to match with those of Moorman. No other remains were discovered on the whole island. There seems to be much more on the mystery of Sarah Joe than the disappearance and then the appearance of one man out of the five. Since the boat was not well equipped and was designed for only coastal use, it seemed a mystery on how it survived one of the worst storms on record and landed on a desolate island many miles away. According to experts who tend to have a better comprehension state that the drift time between Hawaii and the Marshall Island could have been somewhere in the area of three months. 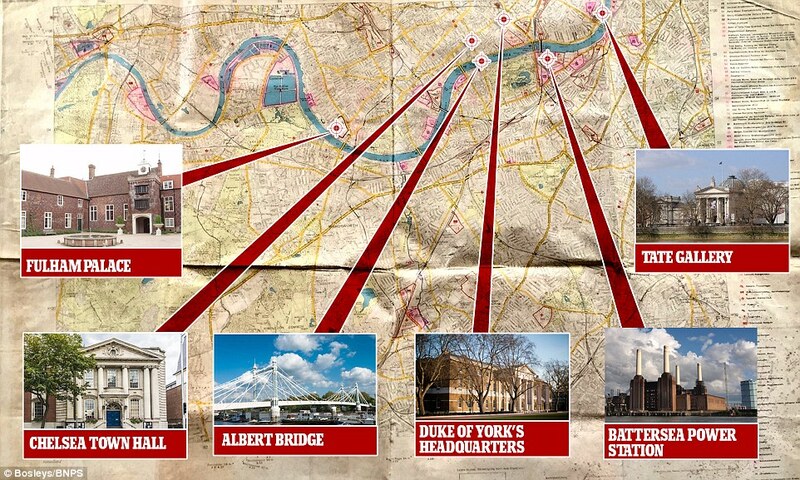 World War II ear map has been unearthed after 75 years which showcases the Adolf Hitler’s plan of bombing the targets in London. This particular rare plan fitted in to a Luftwaffe direction finder and this map carefully labels the prominent targets which building some of the important buildings such as Chelsea Barracks and Battersea Power Station. Germans has also planned to bomb the Duke of York’s HQsas well as Fulham Palace which happens to the household of the Bishop of London. Quite interestingly this map carefully focuses on the targets following the route of the river which works as an effective guidance for the navigators. 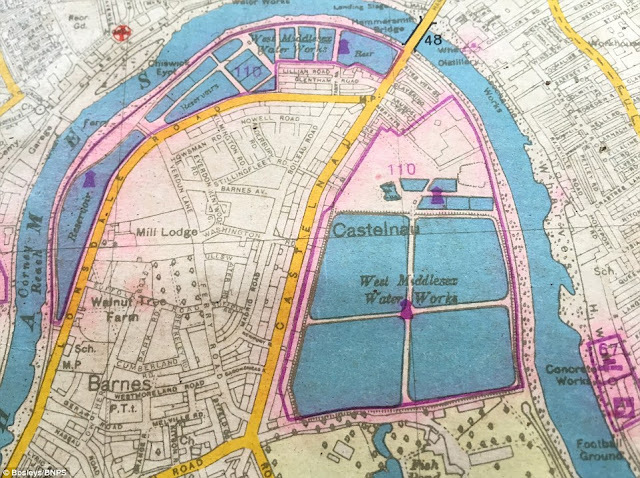 This map is dated from November 30, 9141 and it brings forward the gruesome plan of the Germans to get rid of London iconic and strategic landmarks during the war. The ownership of this map has been attributed to a late Second World War air gunner and it is being speculated that map has been carefully taken from the wreckages of a short down Luftwaffe aircraft. The only good thing which can be seen from this map is that Germans has decided not to bomb the hospitals by marking those building with a cross. This map is being sold off by Bernard Pass and it can be bought by anyone to keep a piece of the history with them. It will come as a surprise but even after bombing London for days Luftwaffe pilots were unable to demolish most of the landmarks from the skies. Such maps are not meant to be kept safely at all rather it has to be destroyed so it doesn’t fall into the hands of British army. From the history it is widely known that facing the defeat in the Battle of Britain, Germans has attempted to bomb the London right into submission. This rare map shows that they had specially decided to target the major and minor targets in order to generate as much damage as possible. The bombing campaign began in September 1940 wherein London was bombed mercilessly for 57 days. As we have seen in the history this act of mercilessly bombing didn’t resulted in breaking the morale of the British rather boosted the will of the people towards overthrowing the tyrant. During the bombing a number of iconic and prestigious building in London were destroyed which includes the City of London Hospital in Old Street, The Great Synagogue of London in Aldgate and the Carlton Hotel in Haymarket. The bombing raids didn’t just damage the targeted buildings but also caused firestorm in many cases and quite incidentally the St. Paul’s Cathedral was narrowly saved. When Germans started preparation to invade the Soviet Union only then the Luftwaffe forces were withdrawn from the west. During the London bombing as many as 30,000 people were killed while 50,000 were left seriously injured in the World War II. Archaeologists have unveiled a new discovery that supports an ancient a myth. The discovery includes a jade pendant of ancient origin that used to be worn by a Maya King especially on their chest. This pendent was first discovered on the soil of Nim Li Punit and is hailed as the second largest jade of the Maya king and is supposedly a product of late 672 AD. It is undoubtedly a remarkable piece of art and is designed in such a way that it resembles wind and breath and when the archaeologists were carrying on the expedition the pendent was found adjacent to a vessel that could have been the ancient Maya god of wind. This is a gem of a jewel which consists of inscriptions just like a historical text. An important story is described they’re with the help of almost 30 hieroglyphs. 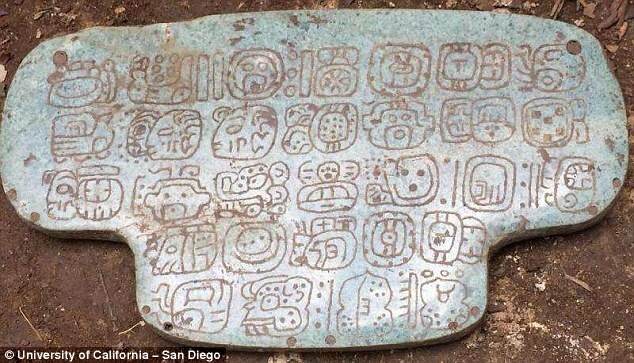 This excavation was carried in 2015 by Geoffrey Braswell who is an UC San Diego archaeologist, and have recently published a paper depicting the importance of this jade pendent in the Ancient Mesoamerica journal. The pendent is 7.4 inch wide, 4.1 inch in length and is .3 inch in terms of breath. The thickness was very surprising for the archaeologists. Further research regarding this ancient jewel have unveiled the fact that the sculptors who made this must have just used a string, fat and dust of jade to develop such a piece of a gem. Another imperative fact is that the jewel is the only ancient discovery found till date that consists of 30 hieroglyphs which makes it to identify as a historical text where the name of the person who first owned is also inscribed at the back of the pendent. Braswell who led to its discovery said that the inscription depicts a very small story with a larger than life message. The pendent was found when they were excavating a palace that was built about 400 years ago. They discovered the jewel inside the palace along with 25 pottery vessels, a stone that was quite big in stature and resembled a deity, and amongst them the jade pendent was lying. There weren’t any remains of a human. The pendent resembled the letter T and the same alphabet was carved on the front. The archaeologists who were a part of this expedition proclaims that this ‘T’ is the personification of wind and breath. Wind is denoted as a very vital natural resource in Maya culture, as these winds are responsible to attract monsoon rains which is important for the crops to thrive in. In their culture the king was the one who other than looking at the well being of its subjects was also responsible for all the sacred ceremonies, for that the king performed several functions as per their authentic calendar. The rituals also included many exaggerating ceremonies performed by the king, so that the wind and rain is properly restored in their kingdom. For the first time in 700 years, the face of a heroic Scottish King has come up from the shadows wherein scientist have utilised 3D scans on the skull of Robert Bruce in creating amazing images which could have been of those during his time in power in Scotland in the 14th century. One of the images portrays the king in his prime as a enormous and influential male having well-built neck with stocky frame while another displays that he could have had some weakness with indications of leprosy that had disfigured his upper jaw and nose. Robert Bruce was around 55 years of age and reigned from 1306 till his death In 1314, he had been at war to bring down his Scottish rivals together with the English regime in Scotland terminating in the battle of Bannockburn. His new images had been developed in collaboration between historians from the University of Glasgow together with craniofacial experts from Liverpool John Moores University – (LJMU). The Director of LJMU’s Face Lab and a world renowned craniofacial identification expert, Professor Caroline Wilkinson had supported the facials reconstruction by undertaking a 3D scan of what was assumed to be his skull. 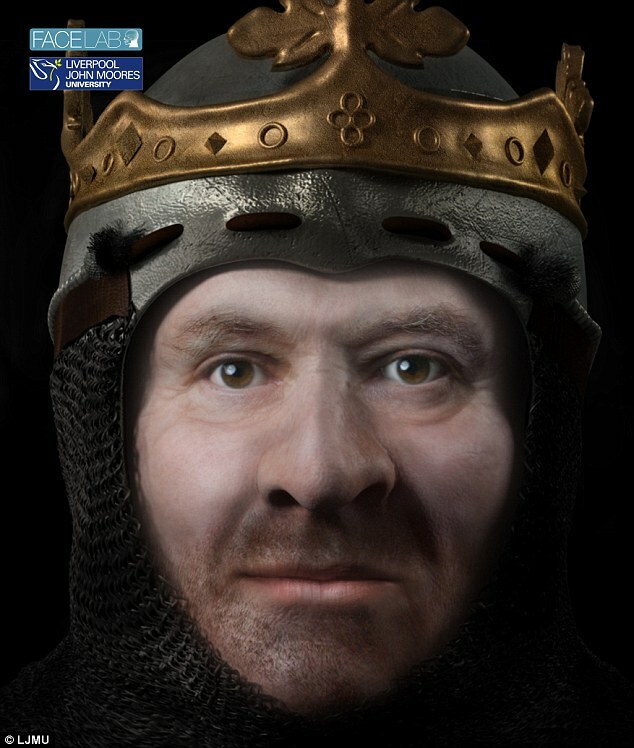 It is believed that the skull had been unearthed between 1818 and 1819 from Dunfermline Abbey in Fife and the facial structure of the king had been generated by utilising the process of a 3D reproduction which is known as `stereo-lithography’. No trustworthy photographic illustrations of Bruce had been made during his time and written accounts do not convey anything regarding his appearance. Professor Wilkinson, who had been responsible for the facial reconstruction of Richard III, stated that on utilising the cast of the skull, they could precisely create the formation of the muscle from the positions of bones of the skull in defining the structure and the shape of the face. He further added that the reconstruction could not portray the colour of his eyes, the tone of his skin as well as the colour of his hair. Two versions had been produced, one without leprosy and another one with a mild sign of leprosy. He added that he could have had leprosy though if he did it would probably be that it did not manifest strongly on his face, since this had not been documented. According to researchers an image had portrayed him with a large and powerful male head which had been supported by a muscular neck together with stocky frame and showed him as a privileged person who could have relished the benefits of an excellent diet. The researchers further stated that his physique could have prepared him for the ruthless burdens of feudal warfare.However, he could also be having indications of leprosy, which had disfigured his upper jaw and nose wherein the researchers had created another version accounting for the same. This was so because the historians were of the belief that Bruce had suffered due to the disease that had affected him many time at the time of his reign which has probably ended in his death. In 1327 for instance, he was said to be so frail and he could only move his tongue. The biggest revelation of this session is that cheese is found on the dead remains of Chinese mummies. Yes, you heard it write Cheese! This is an ingredient which is most commonly used is every Italian dishes, because of the extra tinge of flavor that it adds to the overall taste of the food. Vintage Gouda which is suspected to be of an age of five years or even a decade has been witnessed with an accumulation of a yellowish clump on the parts of necks and chests, and after research it was clarified that this yellowish clump is none other than the world’s oldest cheese. An author called Andre Shevchenko an analytical chemist of Max Planck Institute of Molecular Cell Biology and Genetics, at Germany have concluded that this is not the oldest cheese of the world but it also projects instances of top-notch technology of the ancient time. In relation to this ancient technology both of them have claimed that the method and technology used must have been very easy and affordable that the common mass can avail that for themselves. This cheese is also said to have been existed exceptionally in accordance to the adverse conditions at Small River Cemetery Number 5, to the northwest part of China just like the mummies. Shevchenko during his further research got to know the reason behind the slow intensity of decaying. During his research he understood that dry desert air and salty soil are the perfect combination that prevents things from decaying easily and a rapid a pace and then the remains of this graves were kept in freezer to make them dry. The seeds of plants and tissues of animals present in the tomb reveals the exact date of the burial of these mummies, that says that the mummies were buried during 1450 to 1650 BC. This was one of the biggest discovery in the field of history. Further excavations revealed that some of the bodies of the mummies had very strangely shaped crumbs on their necks and chests. When Shevchenko and his colleagues set out to find what these oddly shaped crumbs are in originality, they realized that it was none other than cheese and were definitely not butter or milk. But, still they did not understand that why these pieces of cheese where scattered near the necks and chests of these mummies. and unable to gain a scientific answer to this question they accepted the old belief that it was given as a food for the next life. There have been many rituals during the ancient time that unveils a lot of mysteries that were buried under the debris of the past. Archaeologists have always ripped out several imperative stuffs from the womb of the Mother Earth, which helps us to get acquainted with several other things and hence our history is forged out of them. Information about ancient civilizations, kings, their lifestyle and religion describing several rituals are also revealed through the excavations. One of the most recent researches have revealed a very gruesome and terrifying truth about the Monks that is sure to give you goose bumps. 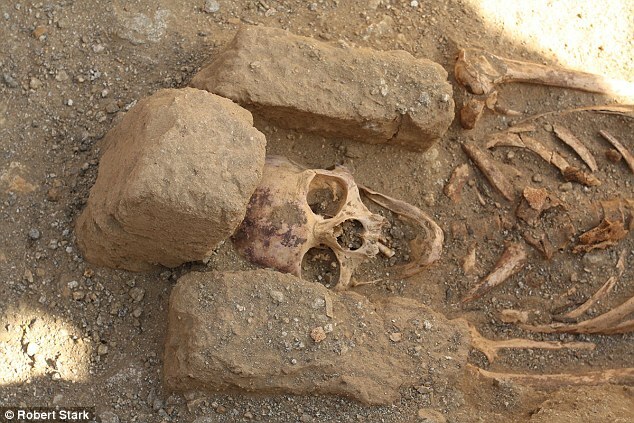 Researchers have discovered four cemeteries from the ancient time in Sudan and what was found left everyone in bewilderment as the skeletons that were buried in these cemeteries were positioned in a very weird situation with their legs being stretched at unusual angles, which became the topic for further research. The Monks are always placed at esteemed positions because of the kind of peaceful life they lead. But this meticulous excavation seem to turn the table up-side down proving that the respectable life that these Monks of Sudan living almost 1000 years ago led met with the most horrifying ending. The skeletons indicate that the Monks went through defleshing before they were buried. Marks that were found on the skeletons suggests that after the Monks in Sudan merged into the Almighty, there dead bodies after a while used to undergo an inhuman venture were the flesh was removed from the bodies before giving them burial. Researchers or Archaeologists belonging from the university of McMaster situated in Hamilton have excavated 123 such skeletons from the cemeteries adjacent to a Christian monastery in Sudan, not much far from the River Nile. 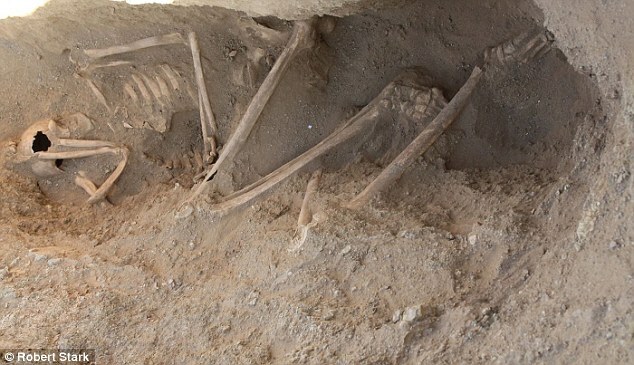 The skeletons revealed the fact that they must have been buried almost 1000 years ago. One of the cemeteries depicted that it was built only for the monks of the monastery who were adult. The other two contained all mix varieties of individuals, while the fourth only consisted of 15 skeletons all with unfamiliar features. Though they were buried almost 1000 years ago, Robert Stark who was the in-charge of expedition, said that the skeletons seemed to be much fresh then they should be. The reason behind this is yet to be discovered and there is still no supporting fact that would reveal the reason behind such act of undignified value. It is pretty evident that the burial system during the ancient time for monks were absolutely banal in comparison to the contemporary times. There are several other instances revealing heart-throbbing evidences as in some tombs the archaeologists have discovered human skull and bones arranged in a peculiar manner around the burial ground. One of the brutal way of burial which we have discovered now is Mummification were the organs of the body were separated and the brain was forcefully removed from the nose. The other most extreme way of burial was discovered in Tibet where the corpses are given to vultures and the remains were left on the top. 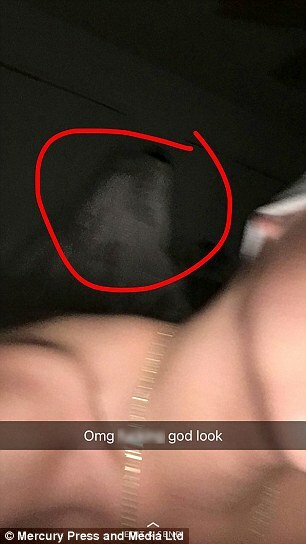 A grieving mother was reported to having spotted the spirit of her daughter in a snapchat picture that was clicked by her son and sent to his friend. Patricia Winchester a 44 year old office manager and a mother was freaked out when she saw a hazy figure flying over the picture sent by her 13 year old son Hunter Bound. Hunter Bound had shared a snapchat selfie with his friend and it was not until a week that his friend had replied him back with a circle around the figure and asking him what was it. Hunter had freaked out at the mention of the same and could not understand what it was. The picture had scared him and let him to go to his mom and share the fear with her. As soon as Winchester was shown the picture she knew it was Adrianna her little daughter who had passed away at the age of 5 in the year 2006. Winchester had understood that Hunter was terrified and he even refused to sleep in that room. Winchester reports that there had been earlier situations too when they had spotted the same figure in their house and sometimes an unknown presence near them which had left them question many things. Winchester shared an image of her daughter in white dress spotting the same look as that which can be made out from the eerie figure in the picture and she earnestly believes that it is her daughter. She says that it is not the first time that such incident has been reported. They have come across the situation a lot many times before. There have been situations where Hunter had told her that he felt something around and didn’t really know what it was. After Adrianna passed there was a time when they were standing outside the house and Hunter and the Dog had both been pointing upwards in recognition of something. The dog kept barking and Hunter did notice something which they were not able to make out of. In 2013, when Winchester’s dad passed away, Adrianna did pay a visit to him. Winchester’s nephew and Hunter had been in her father’s room just before he died and they had seen their grandfather call Anna’s name and look up as if he could see her. Other times there have been situations where in some pictures there have been hazy figures sported and also the times when Adrianna’s pictures were moved from the shelf to the floor all by itself without having anyone in the house. The activities have grown larger now and Winchester believes that she wants to seek answers for all of the acts. She believes that she wants to know of the presence and also acknowledge if she really is surrounded by her daughter’s presence. Probably the help of some paranormal expert would bring respite and solve the mysteries to calm Hunter down and also solve the mystery. And as Winchester never talks about her daughter, it is time for her to do the talking and seek the answers! 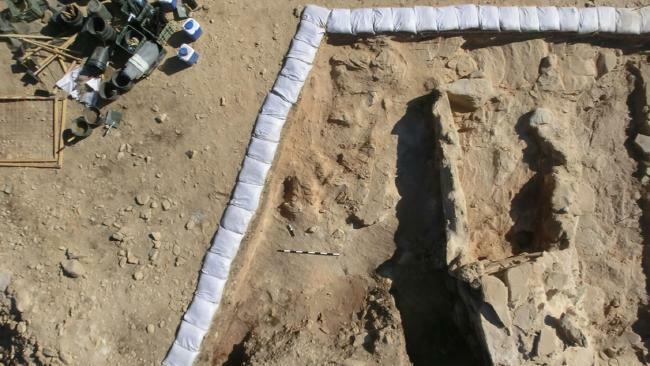 In Israel Archaeologists have unveiled a Jewish State which seems to be ancient in its origin. Tel Avis’s University’s researchers have discovered the reminiscence of a well carved out, fortified military Valley in Timna which is in the southern part of Israel. These sites have been associated with the mines of a legend, called King Solomon since long time. The technique involved in terms of its Dating reveals its structure, and the smelting camps of copper seems to provide protection and researches say that it must have about 3000 years old. All this evidences adds much resources to the stories regarding King Solomon and King David. In the Old Testament we do not get any detailed description about the mines of King Solomon. But references regarding the military conflicts that took place in the Arava Valley between Israel and Edomites is present. As per the Bible, it is believed that David travelled several miles away from the periphery of Jerusalem and then engaged himself in conflicts with the military in the desert region and alone managed to win victory over 18,000 Endomites in the Valley of Salt. We have found differences regarding their measures of defense, that have turned out to be really progressive and fortified. We can make out how hard it would have been to carve out an effective defensive measure that too in such a remote valley. But, King Solomon had entirely been evaded in the same manner just like his treasures. There isn’t any deliberate prove of the presence of King Solomon as per the archaeologists. As they didn’t find any sort of seal or an inscription projecting his name that will second his existence. But, evidence in favor of the Timna Valley throws light on several stuffs. The Valley which is very hot, and is a wasteland have turned out to be really very informative for the archaeologists. As in between the dirt and sand, they managed to find out many pieces of clothes, rope and food that seemed to have preserved since ages. 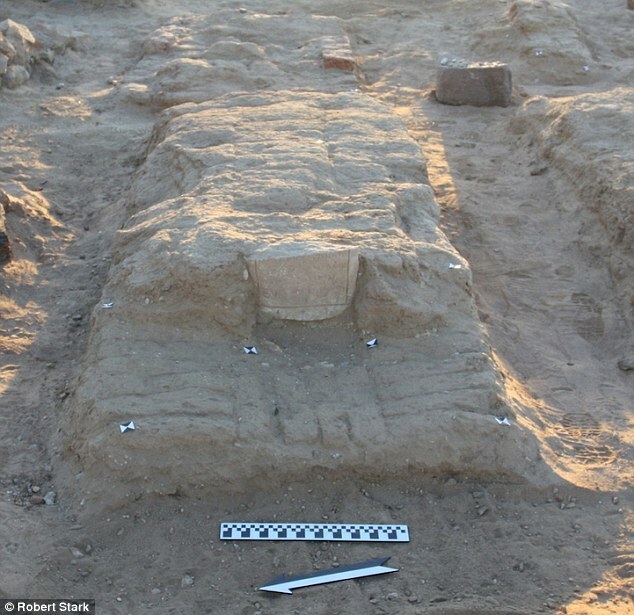 They have also discovered that an Egyptian temple of 13th Century BC. The archaeologists also found evidences of a society with very important developments in terms of several organizations and power structure. The only disadvantage that the archaeologists suggested was that the people in King Solomon’s reign lived in tents, so much evidences could not be found. But, if they had lived in proper houses or have been dealt in terms of industry instead of only being engaged with mining and smelting, then the facts could have been easily available by excavating. One of a very respected archaeologist from US have projected that during his excavation he discovered vast works of copper which suggests the place’s valediction of being called King Solomon’s mines. Thus he proved the existence of the mines of King Solomon, which was a major discovery that helped several other archaeologists and historians who came later and based their excavations depending upon this valuable discovery of King Solomon’s Mines. What is there in the space? Is there really any evidence of solar system and its eight planets, as suggested by Science Text books? The world out there has always remained mysterious for us and we have believed everything what we were told by our teachers and text books. 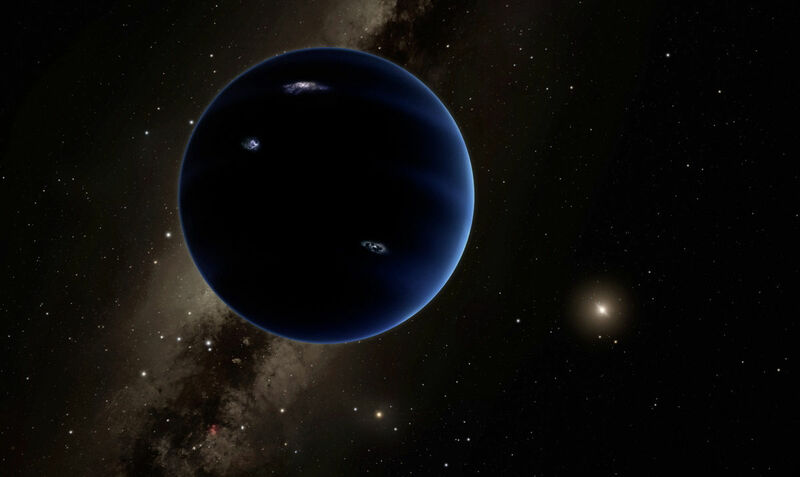 We know that many researches have been carried off till date by some renowned Astronauts but the most recent discovery involves the unveiling of the mystery behind the ninth planet of the solar system. Contemporary researches have heralded the ninth planet as a ‘fake planet’. The researches at New Mexico State University have concluded that it is no less than a rogue planet that was once counted as a part of our solar system. It is an accepted fact that the ninth planet is no way a planet as it does not comprise of the qualities of a planet. Further researches have confirmed that this unidentified object is disturbing the orbits of icy objects. Facts also claim that the reason behind why the entire solar system is tilted is because of this rogue object. The Scientists and Astronomers believes that the number of bodies and its orbits present there in the space as parts of solar system have been disturbed by the pull of this unidentified object. The Scientists have claimed that the Ninth Planet is approximately four times the size of our planet Earth and ten times its mass. From this we can understand that the force this unidentified planet can put in will definitely be able to disrupt the number of orbits. This Planet Nine is said to have been relying on the gravitational pull it projects on the other objects. The Astronomers are worried that if this scenario persists then the doomsday for the Earth is very near. Vesper and his mentor Paul Mason who is a professor of math and physical science ventured out for several encounters between our solar system and the rogue planet and have discovered that there are several planets or unidentified objects on the space and the ninth planet is also one of them. He said that these kind of rogue planets are abundant in number in the Galaxy. They have been suggested to even outnumber the stars that too by a huge difference and may also be a part of the dark matter in the galaxy as a resultant of circumbinary formation of planet. It has been concluded that if the number of such unidentified objects is so far reaching then the presence of this fake planet is acceptable. However, there have been more than 40 encounters, but the rogue would finally come to an end after being captured by the solar system. Thus, the presence of this unidentified object in the Galaxy has turn out to be the matter of research for several Scientists and Astronomers which in near future will lead to an imperative discovery that will add a new dimension to that imaginative world and its objects. Scientists and Astronauts are still trying to figure out whether life can be possible on Mars or not as several instances have been found that suggests that life can exist on this fourth planet of the universe. 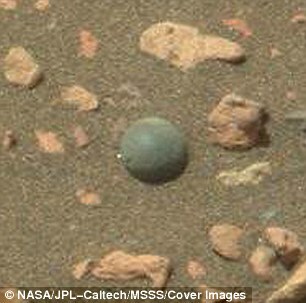 Recent discoveries have propounded that instinct of a small marble is found on the ground of Mars. This new discovery has added new dimensions both veiling and unveiling new concepts and theories towards the research to locate life on the Mars. gst the known red dusty soil and coarse rocks. Some scientist claims it to be a marble, but the most acceptable justification is that it is none other than the Spherule present in Mars, which most obviously is understood to come into formation when the volcanoes discharge molten magma rock into the atmosphere. 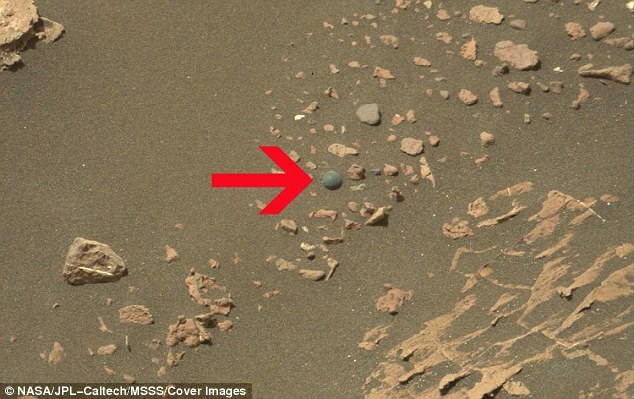 On 20th December 2016 a black and white picture was captured that denotes the same ball like figure on the previous place, which suggest that it not has been removed from its place due the action of some weathering agent and also portrays that the previous picture that was taken was not wrong. However, some changes were found as the surrounding of that dark, small object was found to be covered with rocks and dust. This current picture of Mars was initiated by Nasa’s Curiosity Rover, which has been trying to unfold the reality of this fourth planet discovering new foundations related to the surface of Mars since 2011 using highly advanced technologies and cameras. The images captured till date claims this unidentified object as none other than a Spherule that is more likely to be present on Martian ground. Several theories have come up related to this unknown object which should be considered before reaching to a conclusion that when molten magma rock was sprayed from the volcanoes due to utmost pressure from the interiority of the earth or from the meteors present in the atmosphere was delivered into the real world perhaps there long time measure was the formation of these spherules or marble like small and dark objects. Some other suggests that these Spherules were formed when the groundwater was ejaculated through porous rocks leading to a chemical reaction that would form these small balls precipitated from iron minerals. Most favorably the scientists have addressed it as a Martian Spherule instead of considering it as a marble or life sustaining object. To this the question arises what is this Martian Spherule? The scientists have also found an answer to this as it can also be referred to as Blueberries because of the presence of a bluish tinge. This theory regarding Mars was discovered in 2004. Many expeditions have been carried to reveal the truth behind the most ambiguous planet. But, still no concrete grounds have been prepared on which any conclusion can be forged. 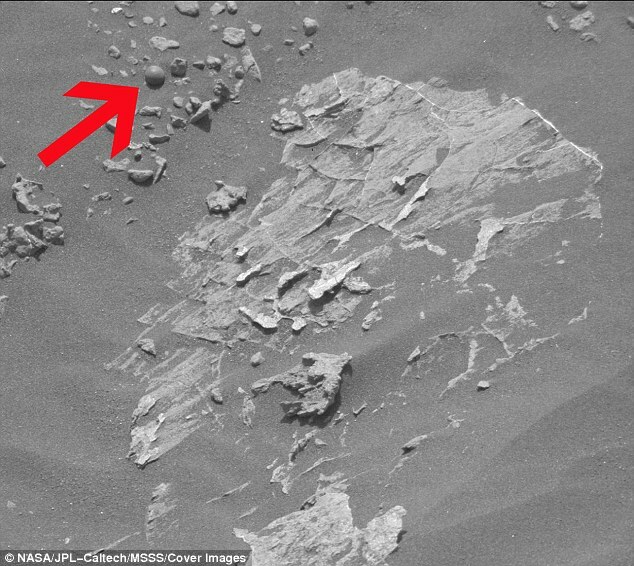 Just like the dilemma behind the truth of this censored object detected on Mars.